If the contest is looks, you’ve won already! Is there a more timeless icon of style and class than the unforgettable 1965 Mustang? We didn’t think so either. 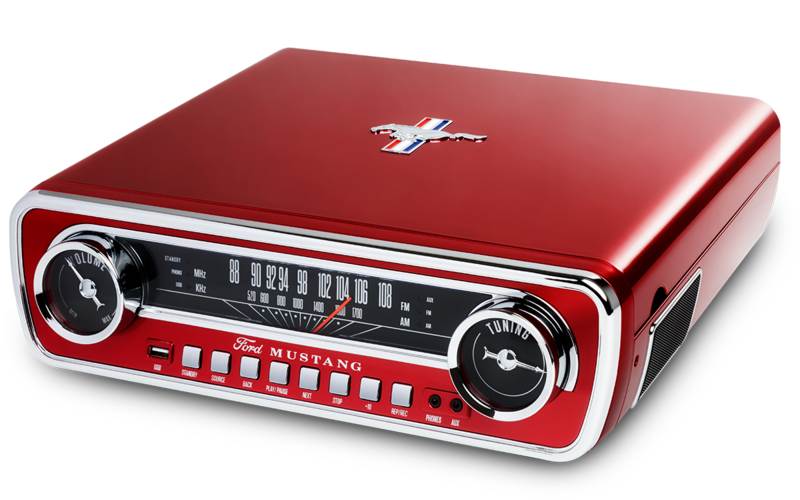 With Mustang LP, you’ll love it before you even turn it on. This is one great-sounding music center. A quiet belt-drive 3-speed turntable. Sensitive AM/FM radio. Headphone jack. Your music will exceed the speed limit. We’ll make you a convert. To digital, that is. 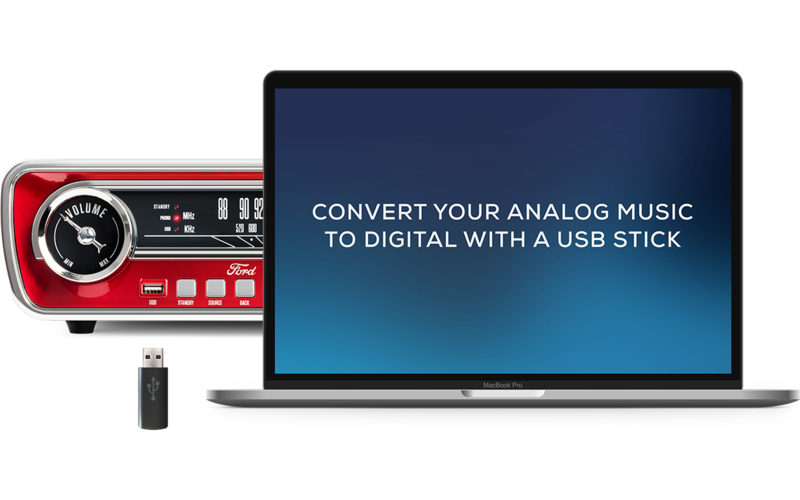 Record anything you play onto a USB flash drive for convenient playback in any device that accepts flash drives. 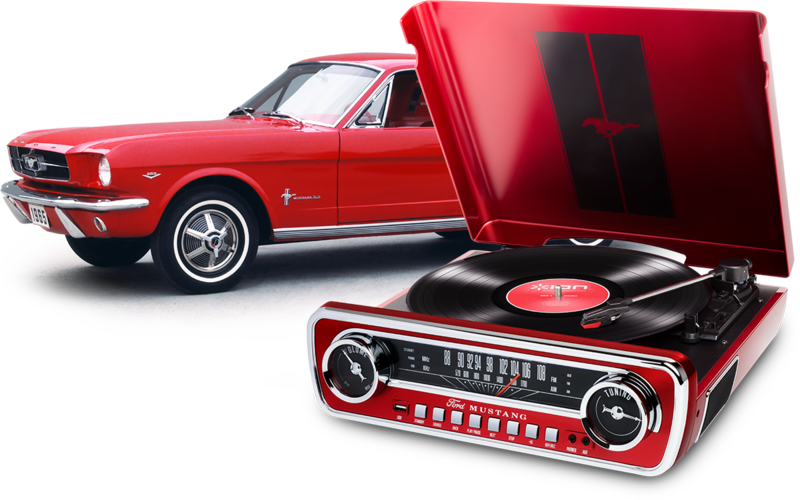 Mustang LP is the perfect way to enjoy all your music while recalling that great feeling of crusin’ down the road with your favorite tunes. Ford Trademarks and Trade Dress used under license to Ion Audio. All other product company names are trademarks or regstered trademarks of their respective owners.